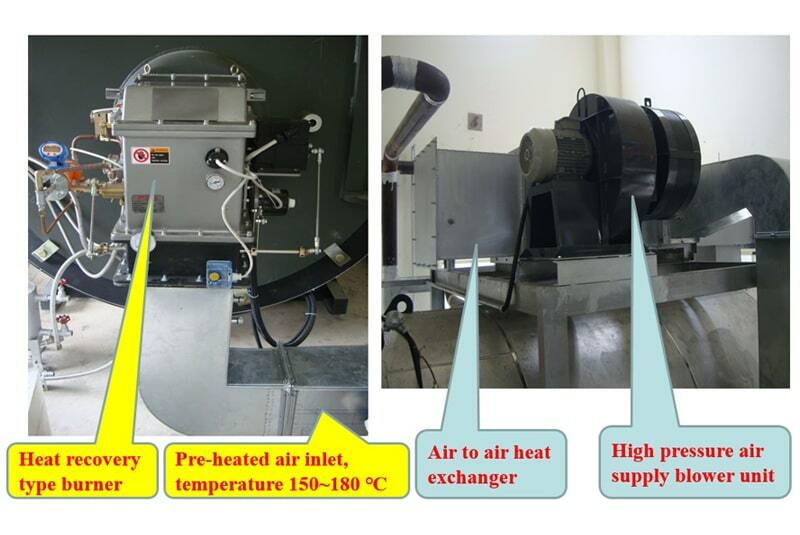 - Air to air heat recovery to increase temperature of fresh air flowing into combustion room. 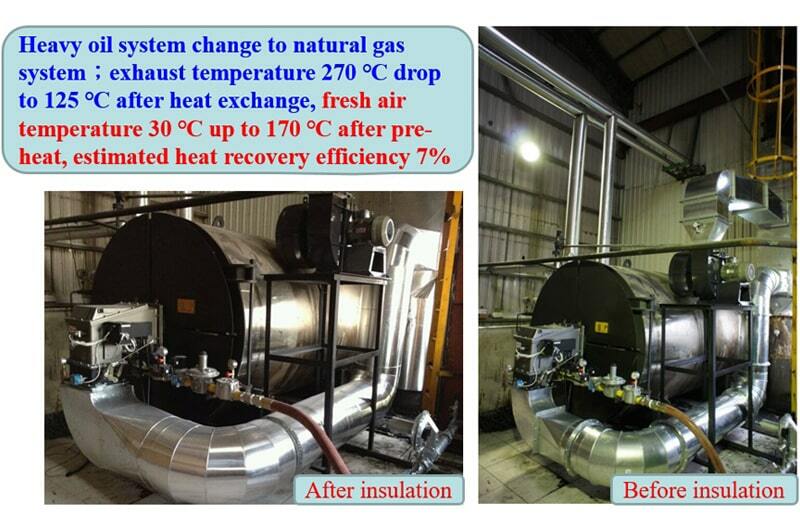 - Air to water heat recovery for hot water application. 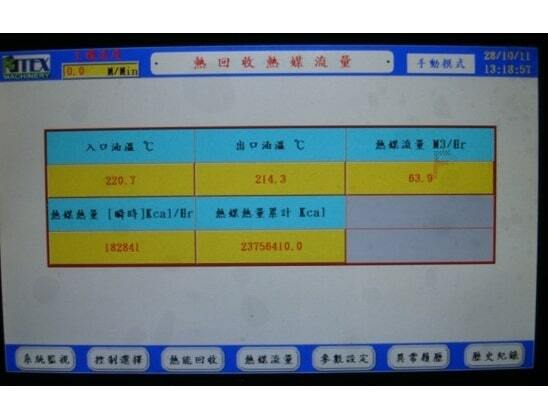 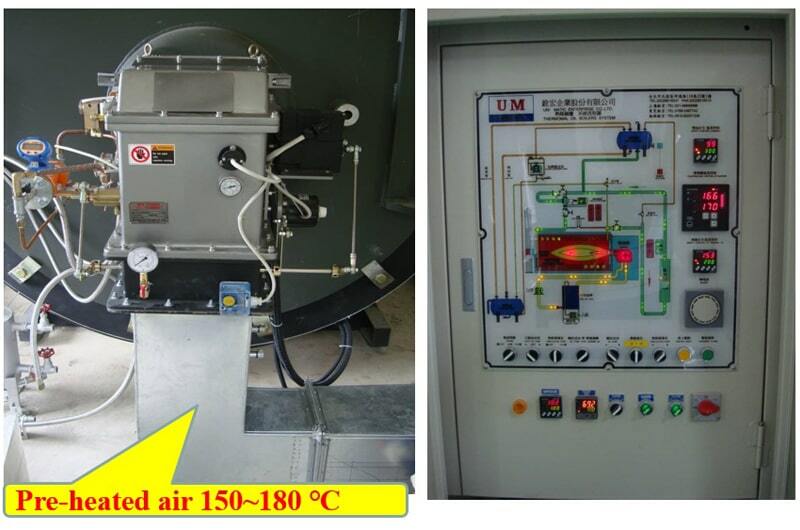 Combustion monitoring system of boiler : oxygen content of exhaust, exhaust temperature, exhaust element analysis, etc. 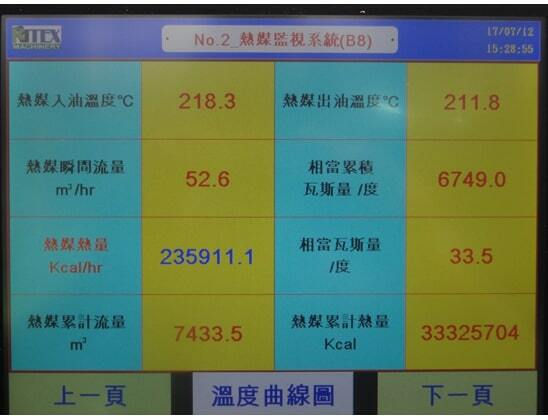 The following data can be recorded: inlet and outlet oil temperature, operating temperature, exhaust temperature, fuel usage amount, air amount (estimated by wind pressure or inverter), pre-heated air temperature, thermal oil flow (flow meter by customer). 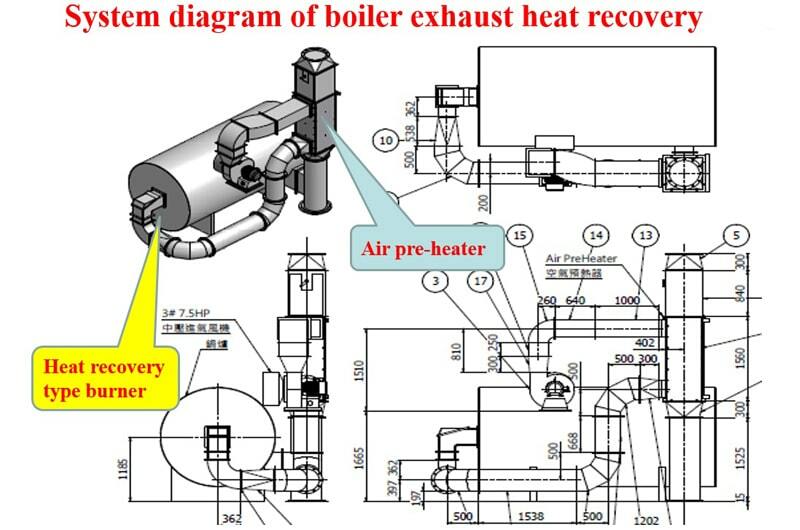 The following condition can be setup for optimum operation: air-fuel ratio, heat recovery efficiency, boiler combustion efficiency, exhaust heat loss, cleaning management. 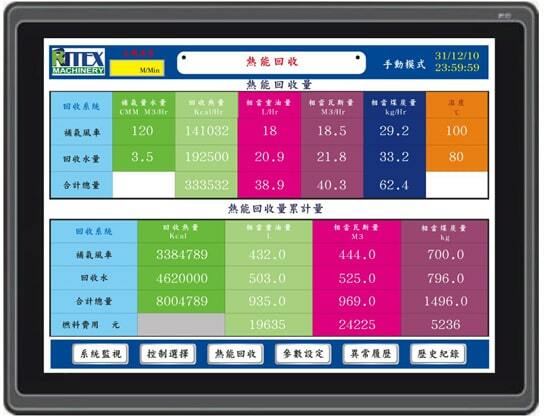 Can connect to central ERP system.